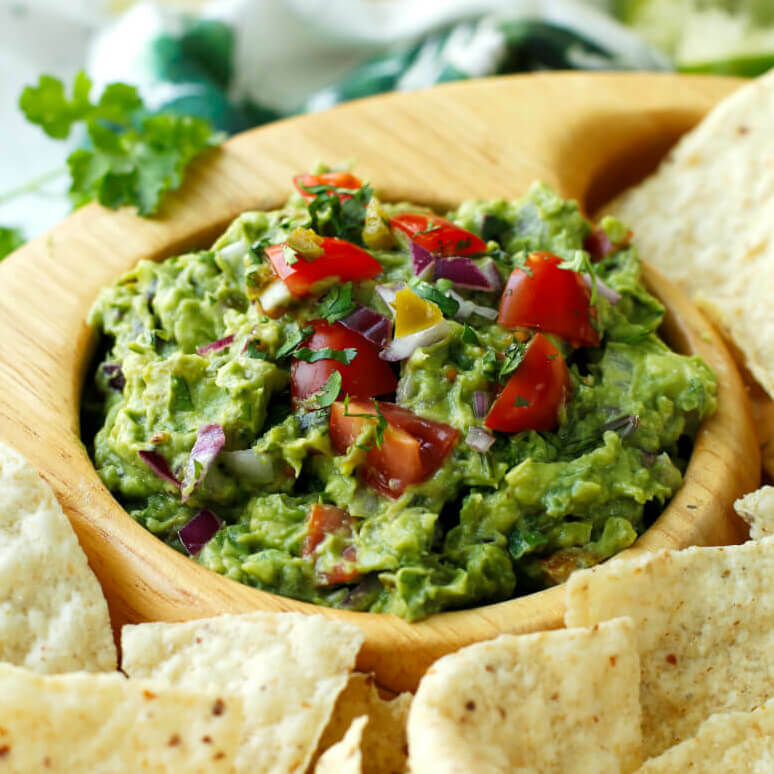 If you're planning on Mexican for dinner, you've got to try this easy guacamole recipe! It takes no time to throw together and will turn your boring taco night into a fiesta! 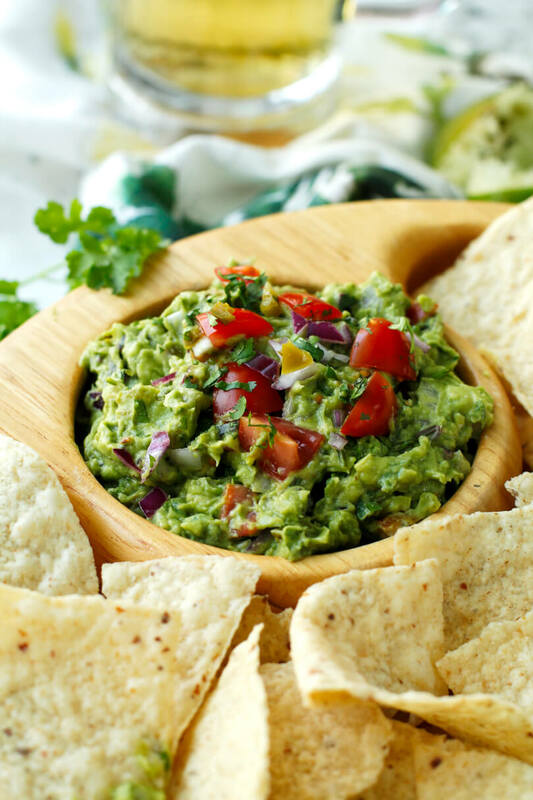 Before I get to the recipe, I want to give you a little background on the creamy, smooth, fun colored fruit that is the star of guacamole. "Fruit?" you may ask. Yes, that wasn't a typo. An avocado is a fruit, a member of the berry family to be exact, that tastes like a vegetable. The most common variety is the Haas out of California, which is in season year round but hits its peak flavor in spring and summer. It's bumpy skin and yellowish-green hue may cause some to shy away from trying it, but if you were going to give anything a shot as a member of The Two Bite Club, I recommend giving the avocado a go. Avocados are packed with vitamins, nutrients and antioxidants and are, surprisingly, an excellent source of fiber and protein. They do have a reputation for being high in fat, but it's the good kind, monounsaturated fat, that helps lower cholesterol. 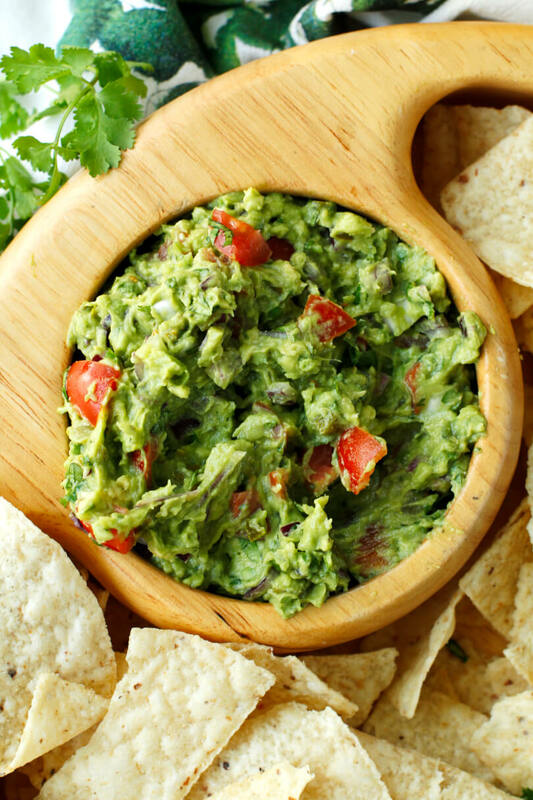 The subtle flavor of the avocado lends itself to being popular with toddlers and kids, so don't hesitate to let them dig in and reap the healthful benefits! As a matter of fact, avocados are an excellent "first food" for babies. I wouldn't start them off on the guacamole, but why not warm them up to the nutritional goodness young? That way they'll won't be hesitant to dig into the guacamole later! 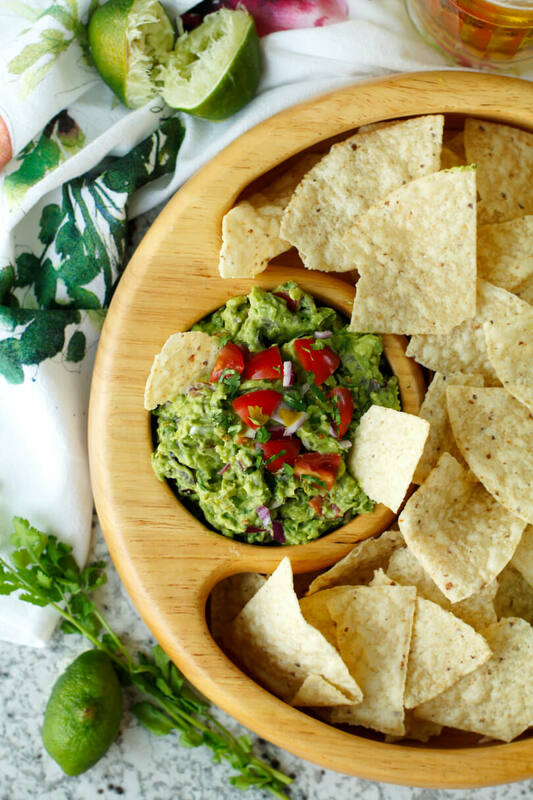 If you're a visual person, you should totally check out this fun video tutorial for this easy guacamole recipe! 1. Using a sharp knife, cut the avocado long ways around the pit. Twist the two halves in opposite directions and pull apart. Use a spoon to pull the pit out. When the avocado is ripe the pit should come out easily. 2. Using a spoon, scrape out the insides of the avocado into a bowl and mash with a fork until chunky. 3. Mix in the onion, jalapeno, cilantro, lime juice, tomato, salt, and pepper. 4. Cover and chill for 20 minutes. 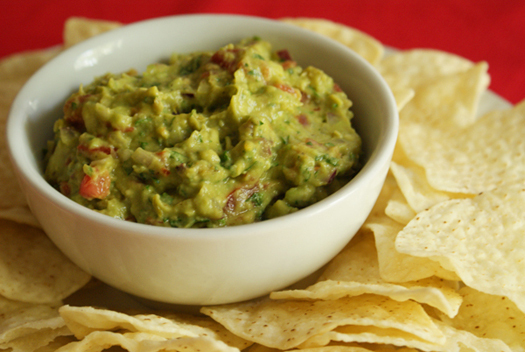 Serve with tortilla chips for dipping or use to top your favorite Mexican dish. Ripe avocados= almost black and soft when gently pressed. If you're not going to be using the avocado the same day as you buy it, buy a green one and let it ripen on your counter for 3-7 days until ready. Depending on the size of your avocados and how many mix-ins you like, you can use 2-4 avocados for this recipe. You can use jarred pickled jalapeno instead of fresh if that's what you have on hand! Simple to get a great dish! Thanks for sharing this recipe!